(07:30 AM), visit the limestone cave, then leaving Labuan Bajo for Warsawe village it takes approximately 1 hour, meet with the local ranger then take a short hiking to the canyon for 45 minutes while enjoying the beauty of nature and meet the villagers on their daily activity as farmer. Laze out, swim and do rock jumping into the fresh water pool of cunca wulang canyon. (we serve lunch box at the Cunca Wulang canyon) after lunch then walk back to the village and continuo to Lembor for 2 ½ jam. 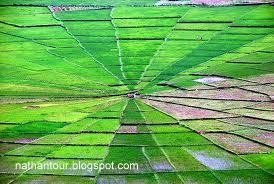 See the hectares of rice field in Lembor, afterwards then drive directly to Ruteng town for another 2 hours, check in hotel and free program. (06:00 AM wake up and drive to Golo Curu and do morning hiking to the top of Curu hill, to see the beautiful view surrounding, and see the big statue of Virgin Marry. Back to the hotel and have breakfast. Walking around to the one of the biggest traditional market in Ruteng town to see morning busy activity of the local people, afterwards the drive for about 45 minutes to Cara village, going up to the view point to see the attractive view of rice field made in spider web stile. 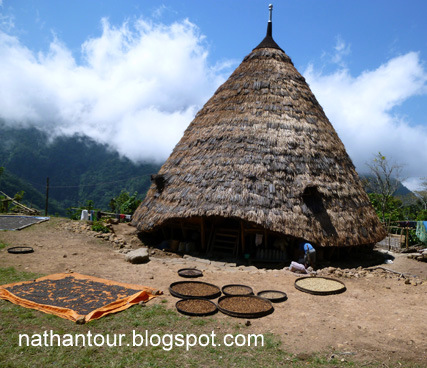 Continuo drive to Todo village for 1 ½ hours, you will see one big traditional house in the midlle of Todo village. Afterwards then drive back to the main street and continuo to Lembor town for Lunch and the back to Labuan Bajo town. Arrive in Labuan Bajo town around 5 PM. Drop to the hotel and the trip end. Price IDR. 1.750.000/ person,- minimum 2 people. Price include : Meals, Accomodation, Soft drink, Entrance fee, English Speaking Guide, AC couch.